Can Louisville be relevant without the services of Lamar Jackson? Written by College Football ATS Analyst Bobby Wallace. Charliessports.com produces it for Football Betting. NCAA Point Spread Picks are the best in the industry and will continue through the BCS-title game in January of 2019. 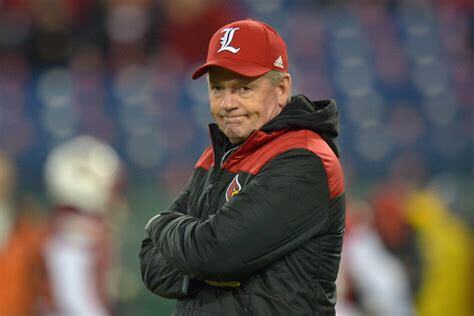 Bobby Petrino is in his second stint as head coach at Louisville; his first was in 2003-06 where his offenses set records with high scoring affairs against some of College Football’s elite teams. His success drew attention from the NFL Atlanta Falcons, but he soon realized he was more suited teaching kids and it was off to Arkansas and then Western Kentucky before he landed back at basketball-crazed Louisville. Louisville is coming off of what some would call a disappointing 8-5 season in which they couldn’t compete with the elite in College Football. The Cardinals kick off the 2018 season in Atlanta vs. The Alabama Crimson Tide in Orlando, Florida. Petrino will use the game not only to gauge his team but for recruiting purposes as he’s had tremendous success in the Sunshine State. A trip to Clemson in November could be tightly contested, and they get Florida State along with the Kentucky Wildcats of the SEC at home in 2018. 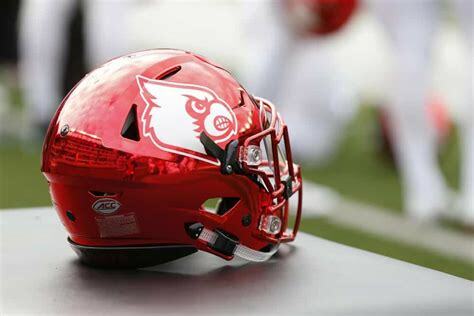 Louisville finished third in the Atlantic division of the Atlantic Coast Conference last season behind Clemson and North Carolina State last season, but it wasn’t because they couldn’t move the football. Louisville put up (544.9) yards of offense per game in 2017, third nationally and most of it was from 2016 Heisman trophy winner Lamar Jackson who’s now with the Baltimore Ravens. As much as Petrino like Jackson he’s more intrigued with incumbent Jawon Pass who’s six foot four frame makes him a prototypical type of signal caller. He’ll have plenty of weapons in his arsenal with Seth Dawkins, Dez Fitzpatrick, and last year’s leading receiver Jaylen Smith (980) yards. As much as Cardinal fans will miss the heroics of Jackson in the open field the running backs, especially Dae Williams are elated as they will undoubtedly get more chances to showcase their skills. Massive offensive tackle Mekhi Becton anchors a unit which will get better as the season progresses. Jackson is irreplaceable, but with Petrino’s system they’ll rack up plenty of yards. Fifty-Nine-year old Brian VanGorder will try to do what Peter Sirmon and Todd Grantham couldn’t do as defensive coordinator under Petrino, and that’s stopping opposing offenses. Louisville allowed opponents (27.4) ppg in 2017; they were terrible by ACC standards stopping the run and pass. Sophomore Dorian Etheridge led the team in tackles as a true freshman last year and is the only returning starter who played in all thirteen games in 2017. Since the departure of Sheldon Rankins in 2015, the Cardinals defense has not had a stud who could take over a football game in the trenches; coaches hope G.G. Robinson along with Jon Greener can get the job done. Three starters in the secondary including first-round draft choice Jaire Alexander must be replaced. If the defense can cut down on mental errors and play within the system their numbers should improve VanGorder got fired by Brian Kelly at Notre Dame shortly into the 2016 season; however, Petrino likes giving coaches a second chance after all he got one. Bovada.Lv, list the Louisville Cardinals at 33/1 to win the 2018 Atlantic Coast Conference Football Title. Free Pick. 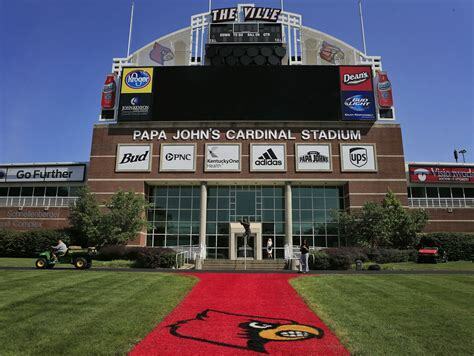 The 2018 Louisville Cardinals will go 8-4 in the regular season Also, Play Online Poker Plus Other Casino Games and enter some of the best Tournaments on the World Wide Web.